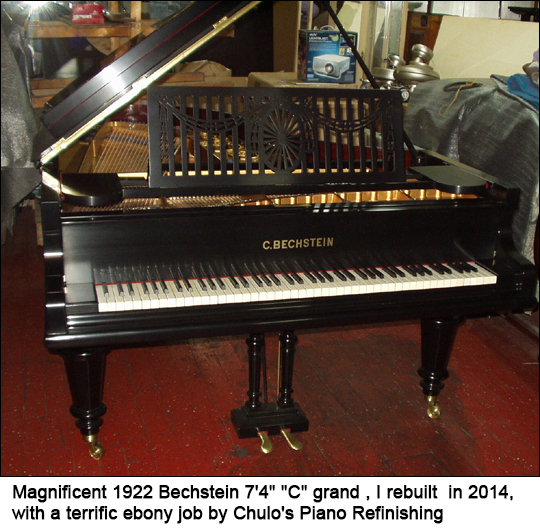 However, I do subcontract any “ebonized” black lacquer pianos to my excellent refinisher, Chulo, of Chulo’s Piano Refinishing in Yonkers. 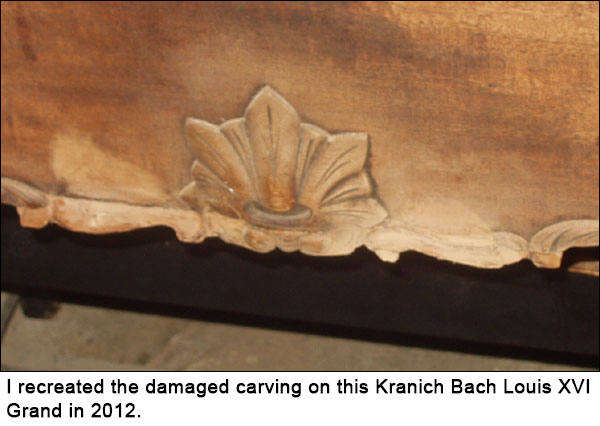 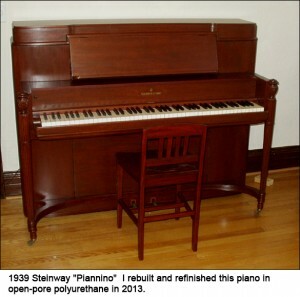 [914 378 1438] He also can do a number of intermediate finish upgrades on black pianos that improve their appearance 100% without the major investment of a “closed-pore” black refinish. And, of course, he does woodgrain closed-pore as well, for a totally showroom finish.